As a group of artists working in augmented reality, virtual artworks only visible in the displays of mobile devices, we are often confronted by people who struggle with the fact that our artworks are not visible to the naked eye. Yet these same people probably believe in either black holes or God, the existence of bacteria or the existence of life after death, usually because someone they accept as an authority has said that such a thing exists. People are even willing to die for invisible and abstract concepts like honor or freedom. Therefore the artists collective Manifest.AR was delighted to see that Ralf Rugoff, the director of the Hayward Gallery, chose to boldly address the complex borders between the visible, the perceivable, and the conceivable in his exhibit “Invisible: Art About the Unseen 1957-2012.” We immediately felt ourselves honor bound to update his exhibit with the newest genre of invisible art: augmented reality. We have therefore installed various works in his gallery – without his prior knowledge or permission – that reflect on the reality of the invisible. 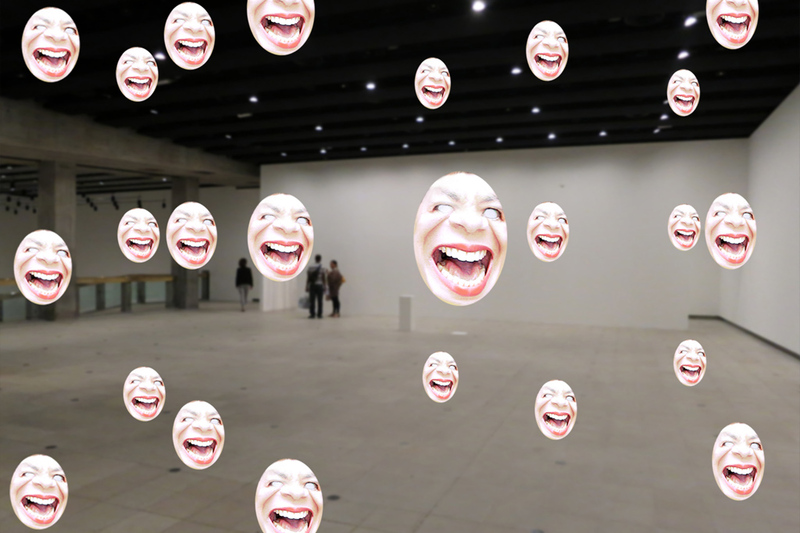 Curiously, when I tried to take screenshots of our augmented reality works in the Hayward Gallery the guards said I was not allowed to photograph the invisible. The images accompanying this article were therefore taken on the sly and smuggled out of the exhibit. My own contribution to the show is a pair of works that reflect on the invisible dynamics of power within the contemporary art world. 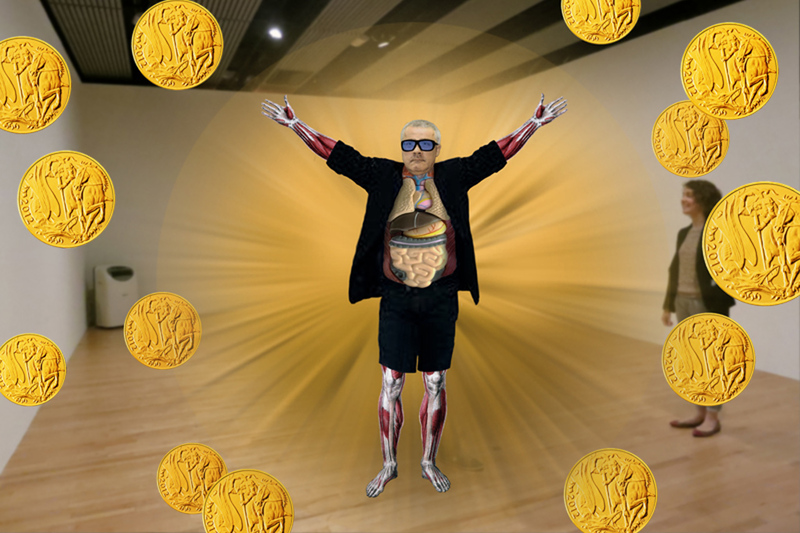 “All Hail Damien Hirst” is a paean to Hirst’s mysterious ability to make the art market dance to his tune as he creates gold out of thin air. Created as an iconic image for his retrospective at the Tate Modern, it brings a burst of baroque into the sublime purity of the White Cube. The pendant to “All Hail Damien Hirst” is “ARt Critic Face Matrix,” which self-references on the invisible but extremely influential power of art critics to define what works and what genres are allowed into the hallowed sanctum of the art canon. Within my lifetime, photography and video have changed from non-art to art. How long will it take for augmented reality to be accepted as art as well? “Dose” by Will Pappenheimer is a hallucinatory experience initiated through the user’s mobile device. Is a hallucination real, even if you are the only one who sees it? Certainly while it takes you on its psychic journey it IS your reality and determines what is visible and what is invisible for you, filling the emptiness of the galleries with its overstimulated energy. “Dose” by Will Pappenheimer, 2012. “Toxic Waste” by John Craig Freeman references the invisible but deadly substances that surround us more often than we like to know. Even when toxic waste is measurable, the companies responsible for its presence in our environment will often deny any deleterious effects. Invisible dangers are recognized only for statistical majorities, not for the individual. 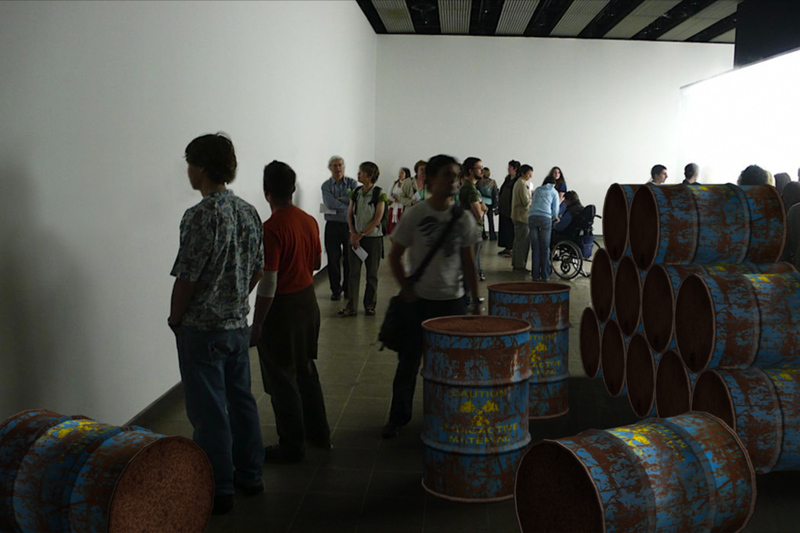 “Toxic Waste” by John Craig Freeman, 2011. Finally, “Invisible ARt” by Sander Veenhof surrounds you with 31 completely invisible and formless artworks that however are really there. For the augmented reality browser on your mobile device, it is not important whether a human can see these works or not. It will detect and report invisible works just as a Geiger counter can detect invisible radiation and notify you of its unseen, imperceptible presence. There are many forms of the invisible, just as there are many reasons for invisibility. Some of it is perceptible, some of it is measurable, some of it is conceivable, but just as with politics and faith you have to want to see it in order to be convinced of its reality. Blessed are those who have seen, and believe. 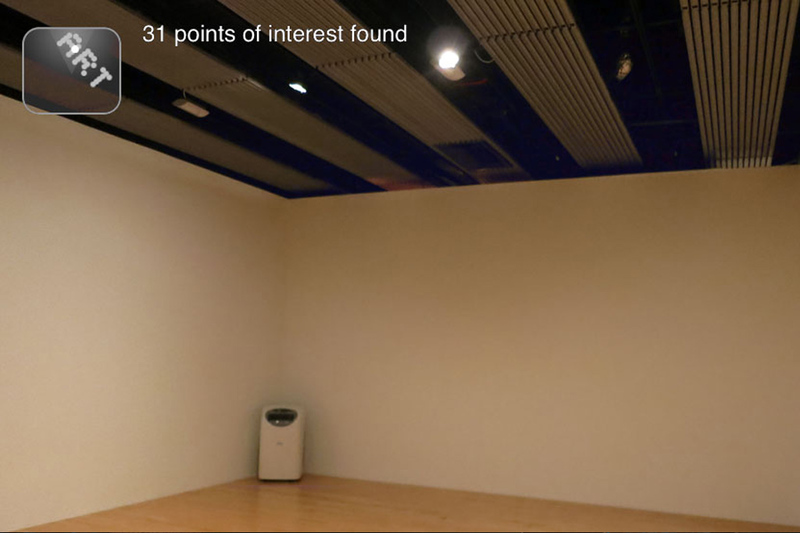 Invisible: Art About the Unseen 1957-2012 runs until August 5th at the Hayward Gallery. Manifest.AR’s artworks are permanently installed in the gallery, but we do find that the Invisible exhibit provides a worthy backdrop for contemplating our works! 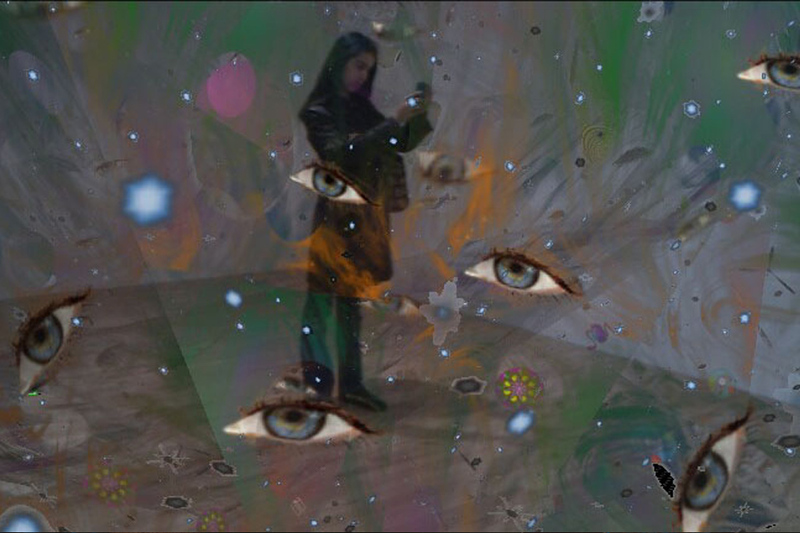 Manifest.AR founding member Tamiko Thiel is a visual artist developing the dramatic and poetic capabilities of virtual and augmented reality as media for exploring social and cultural issues. 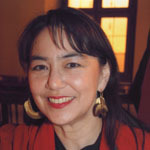 She holds a BS from Stanford in Human Factors Design, an MS from MIT in Human Machine Design, and a diploma in Video Installation from the Academy of Fine Arts in Munich.